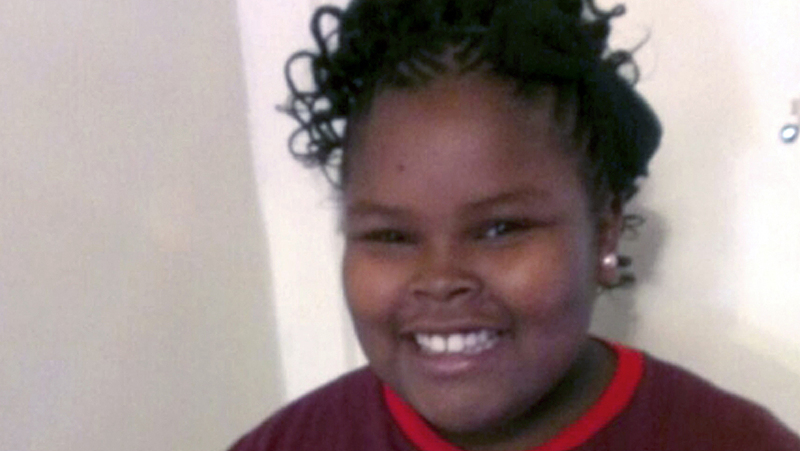 A year ago, 13-year-old Jahi McMath underwent a tonsillectomy and tissue removal at Children's Hospital in Oakland, California, to treat sleep apnea. The girl suffered massive bleeding, had a heart attack and was declared brain-dead Dec. 12, 2013. Her family battled to keep her on a ventilator and to have breathing and feeding tubes surgically inserted despite the hospital's objections. Under a court agreement, the family and the hospital agreed that Jahi's mother, Nailah Winkfield, could remove her from the hospital if she took responsibility for the girl's care. Q: Why does her family want to keep her on a ventilator? A: Jahi's relatives say their religious beliefs dictate that as long as her heart is beating, Jahi is alive and deserves long-term care. In October, the family released videos of the girl showing her foot and hand appearing to move in response to her mother's commands. Q: Is there any scientific basis for the family's belief that Jahi is responsive and could recover? A: Nancy Berlinger, a bioethicist with The Hastings Center, a nonpartisan research institute devoted to health and medical issues, says Jahi's body is only being maintained by machines. Others contend the family is confusing any movements with an involuntary muscle reflex sometimes seen in brain-dead patients- the so-called Lazarus effect. Q: Is this case different from other high-profile instances where families have gone to court over prolonging medical intervention? A: A Florida woman named Terri Schiavo often is associated with end-of-life legal fights. Schiavo collapsed at her home when she was 26 and was on life support from 1990 to 2005. Multiple doctors diagnosed her as being in a persistent vegetative state, but her parents refused to accept that. Schiavo maintained signs of limited brain activity and was able to breathe without a ventilator. Jahi is different in that doctors say her heart would stop beating if she were removed from a breathing machine because her brain stem is not functioning. The lengthy and costly campaign by her family to keep the girl's heart beating is rare. A foundation started by Terri Sciavo's relatives helped the McMath family transfer Jahi to a facility that would keep her life support going. Q: What do other experts say? A: Philip DeFina, chief executive of the International Brain Research Foundation, said researchers found electrical activity after conducting a brain scan of Jahi. DeFina also said blood is flowing to her brain, which remains intact despite predictions that it should have "liquefied" by now. Other experts remain skeptical and are calling for further testing by independent sources. David Magnus, director of the Stanford Center for Biomedical Ethics, has said there is no evidence that patients who are brain dead can ever recover. Still, he said that it's somewhat surprising her body has lasted as long as it has and that some patients can live for years on ventilators. Q: Where is Jahi now and where does legal action surrounding her case now stand? A: The family says she is in a "home environment" in New Jersey with her mother and stepfather and is cared for around the clock. In June, CBS station KPIX 5 reported that McMath was in a Catholic children's hospital in New Brunswick, New Jersey. Unlike California, New Jersey law allows families to reject a declaration of brain death on religious grounds and allows brain-dead patients to remain connected to ventilators. In October, the family's lawyer Christopher Dolan sought an unprecedented court ruling to revoke the death certificate, arguing that new tests show Jahi has brain activity. He later withdrew his request for a court hearing, telling the judge he wanted time for the court-appointed doctor and his own medical experts to confer. No new court date has been scheduled.